This is a very large bag! I designed it specifically for going to the Farmer’s Market, but have been using it to carry things to my classroom as well. 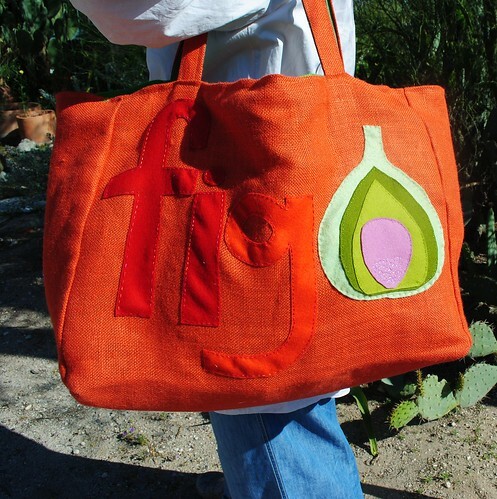 It is made from burlap in tangerine and kiwi, and features hand-stitched wool felt design on the exterior (I adore those 70’s graphics). I actually made it in honor of the 40th Earth Day, because I was remembering the field trip I took with my class for the very first Earth Day celebration. We spent the day at a nature preserve, and I remember it being very lovely. 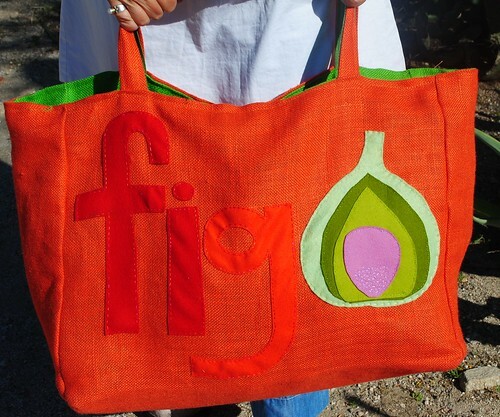 Farmer’s Market totes will be available for purchase shortly.